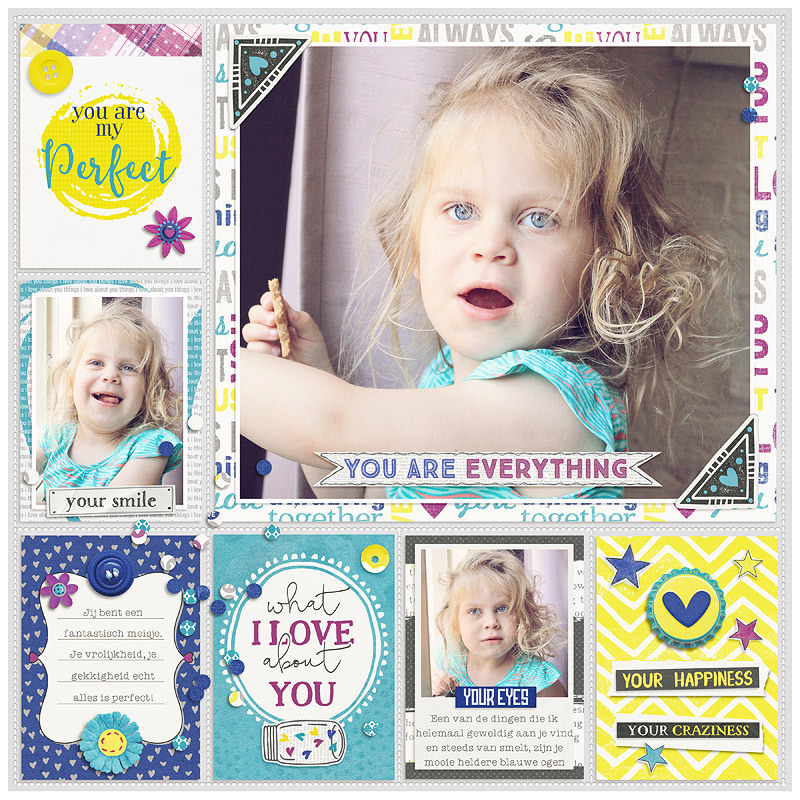 Grab this BUNDLE and save! 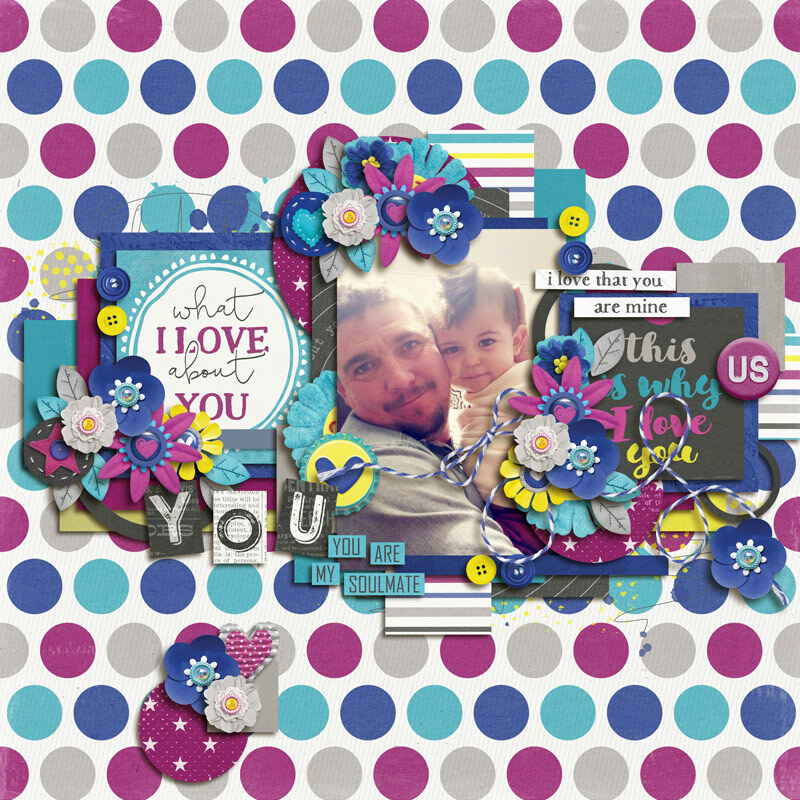 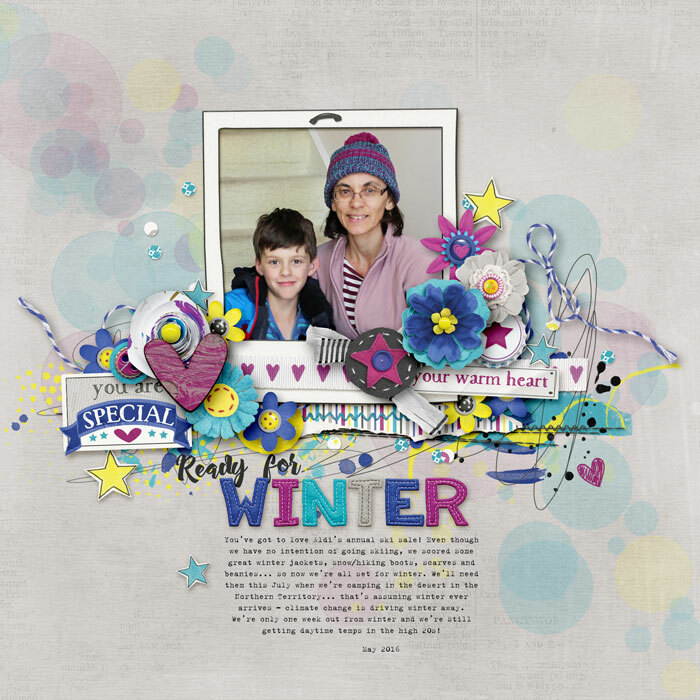 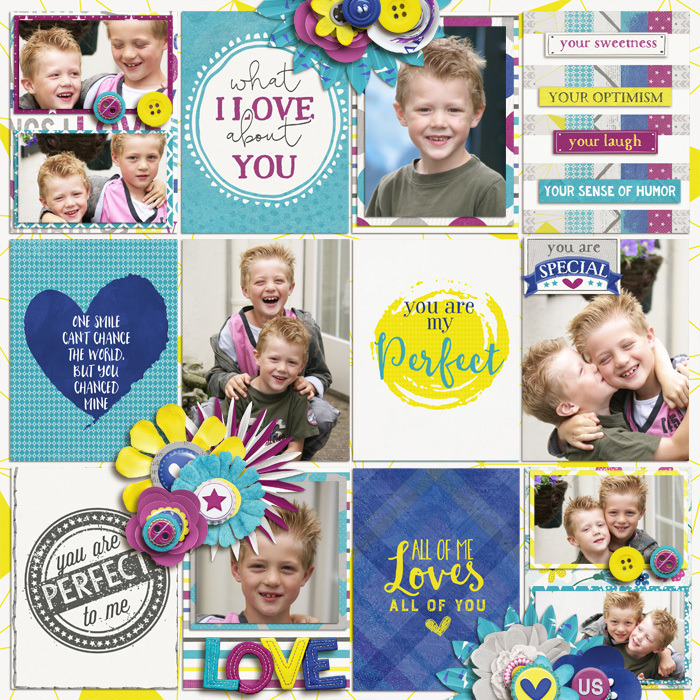 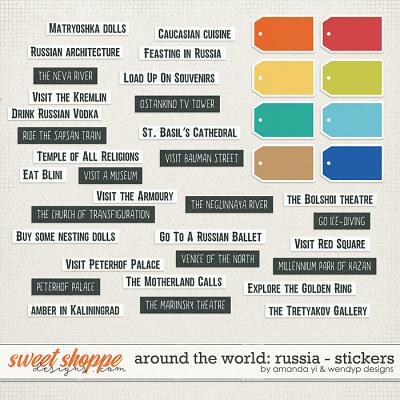 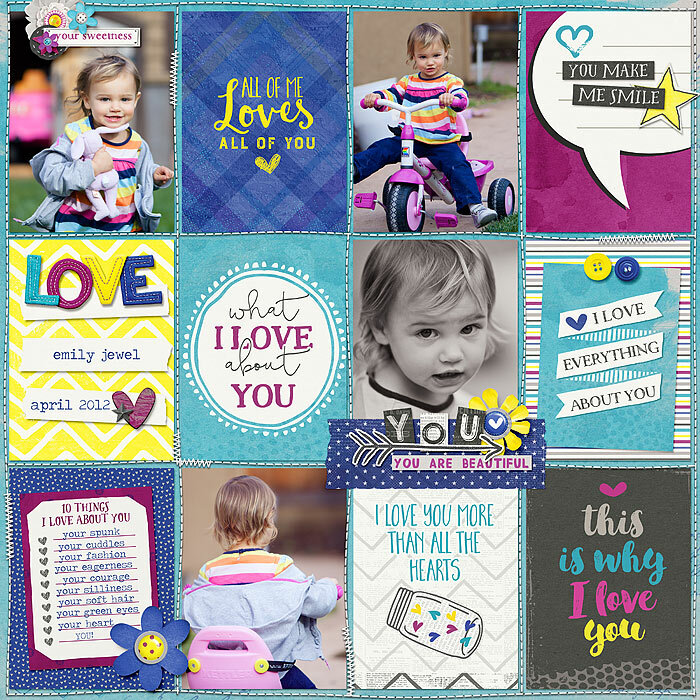 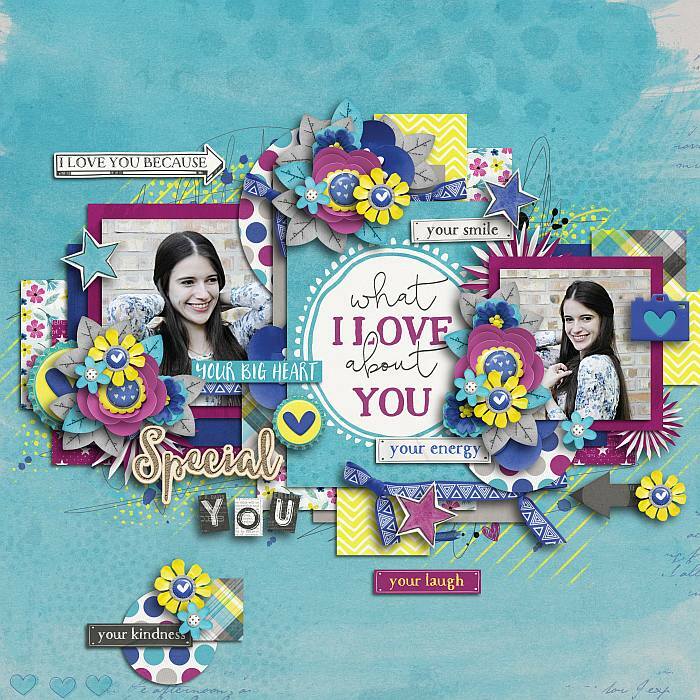 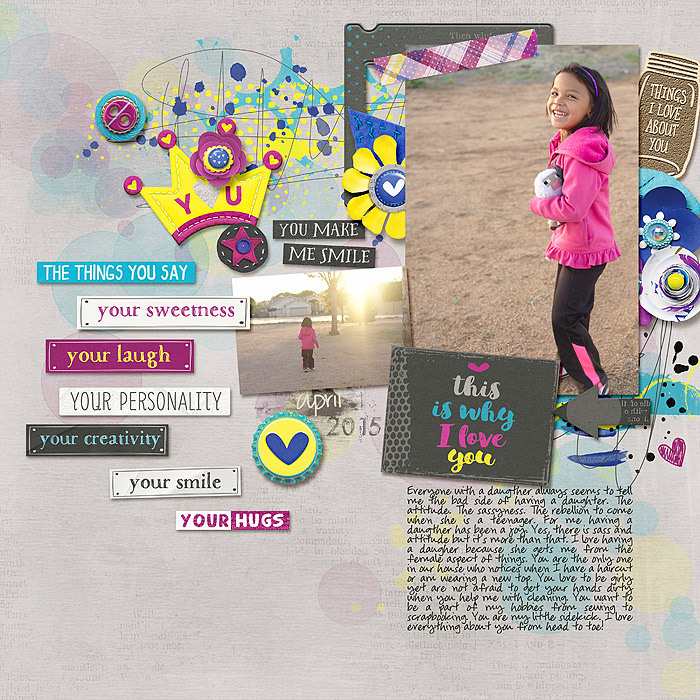 A digital scrapbooking collection by Blagovesta Gosheva and WendyP Designs. 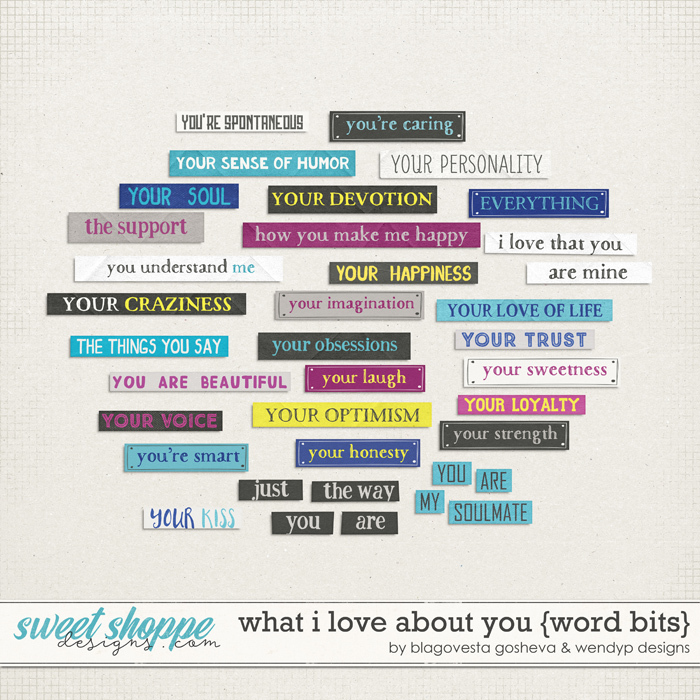 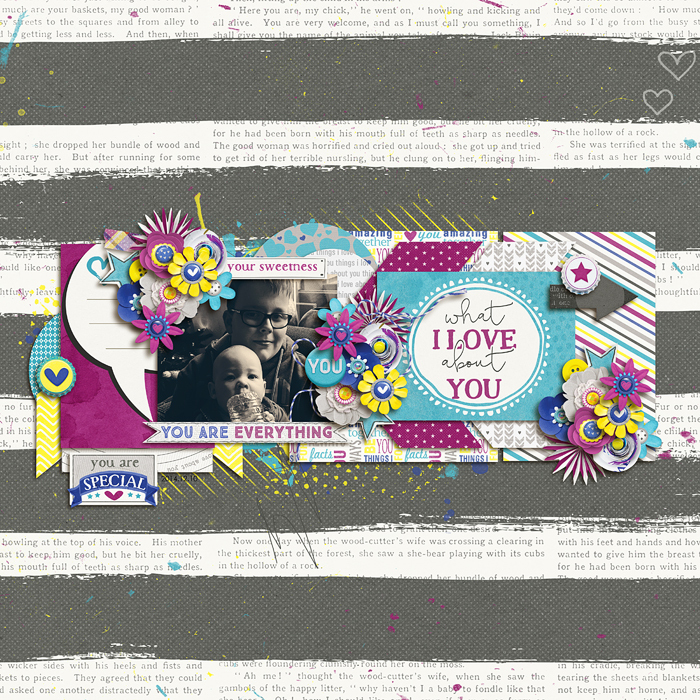 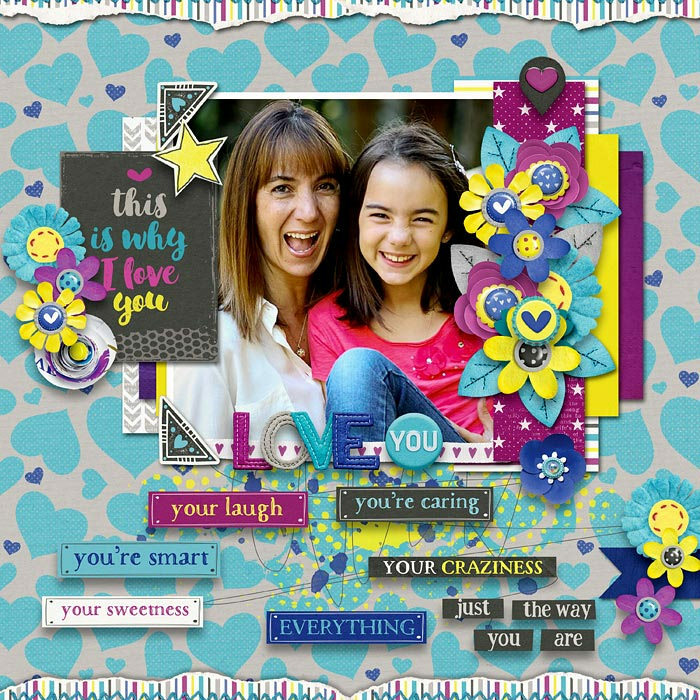 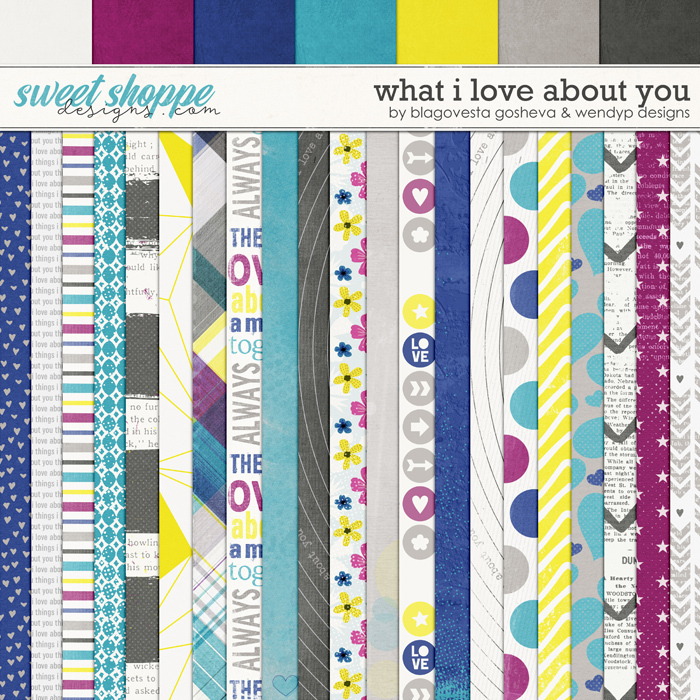 Full of beautifully patterned papers and playful elements, "What I love about you" is perfect to scrap about the people you love. 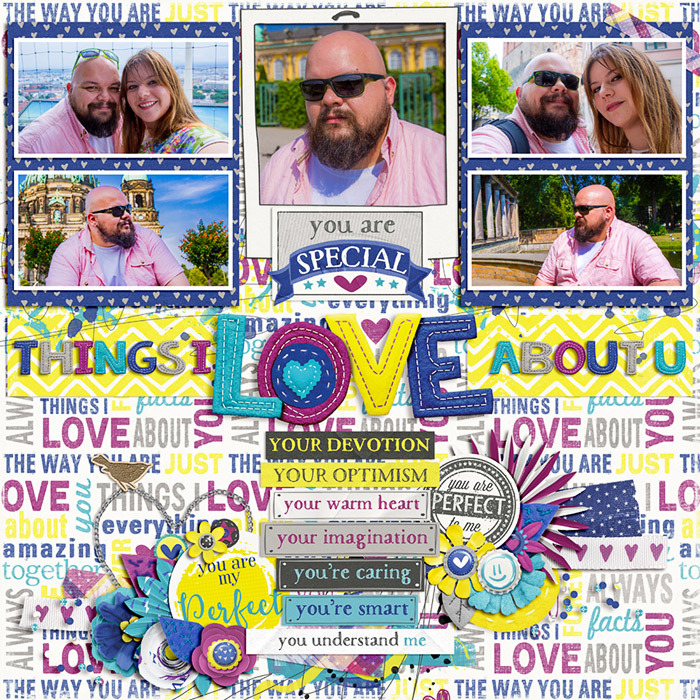 It will make the pictures of your special ones shine! 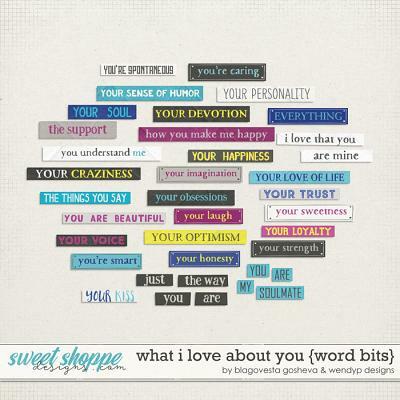 It's versatile enough and can be used for boys and girls! 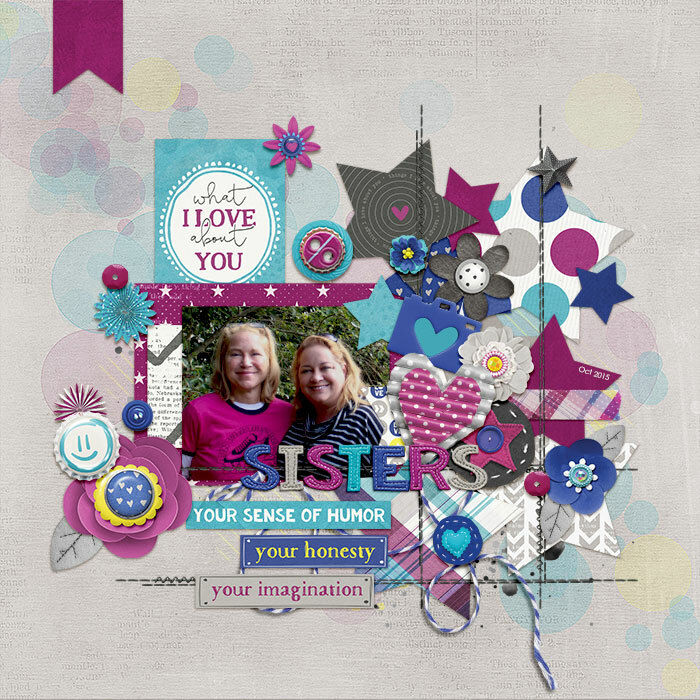 The collection includes Full kit, Stitched felt alpha, Pocket cards, Word bits and Extra paper pack. 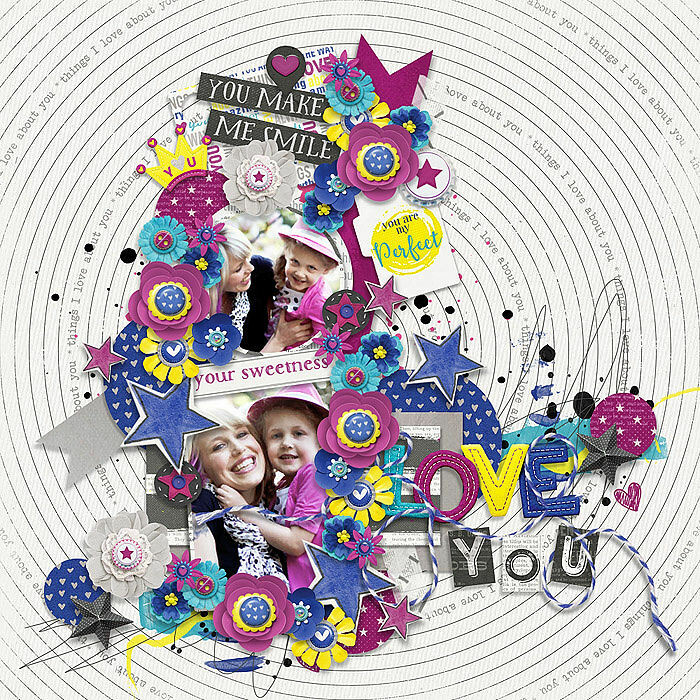 The kit contains: 22 patterned/brushed papers, 7 textured solod papers, stitched felt alphabet in 4 color variations and 90 elements - 3 different frames, plastic camera, stitched felt crown, paper man figure, 2 3x4" pocket cards, 8 big beautiful flowers, 5 small felt flowers, 2 paper rosettes, 4 leaves, 4 arrows, 3 cute bottle caps, bird, 2 cute jars, 3 hearts, 2 stitched felt elements (circle, heart, star), 3 buttons, 2 sequins, 2 brads, vintage label, 3 paints/overlays, confetti, 2 torn paper pieces, photo corner, pin, 3 ribbons, 3 stars, 2 stitches, twine, 3 washi tapes, 5 pieces of word art and 11 word bits. 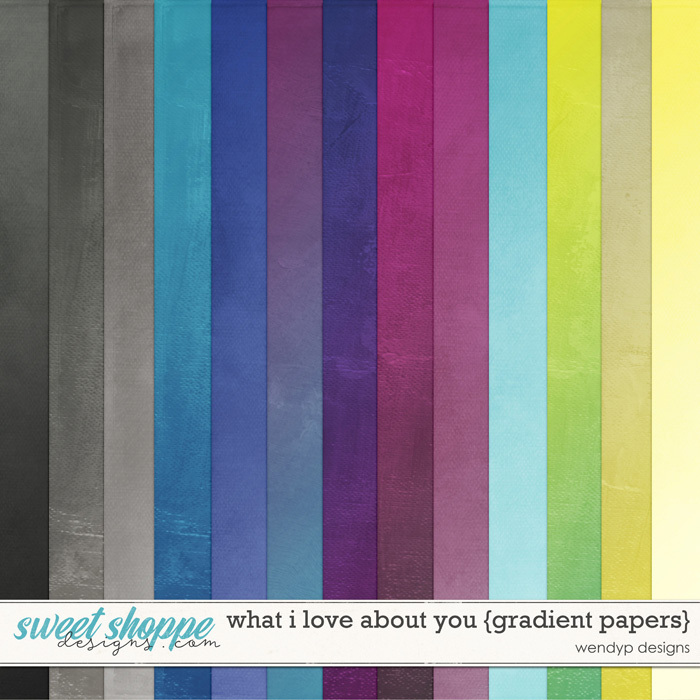 All elements and papers are created at 300 dpi for quality printing in png (elements) and jpg (papers) format.